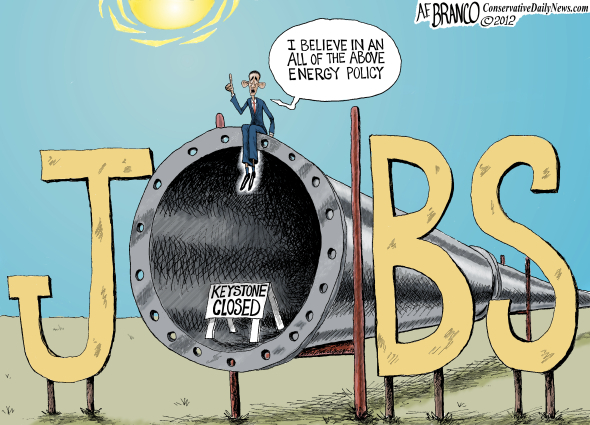 ARRA News Service: Obama's "All The Above Energy" . . .
Obama's "All The Above Energy" . . .
. . . EXCEPT FOR for the Keystone XL Pipeline, permits for oil, shale, and coal on Federal land and and in coastal or waters. Oh, and no dams, nuclear plants, coal fired plants. Oh and . . . Tags: A.F. Branco, political cartoon, Barack Obama, energy policy, All the above, To share or post to your site, click on "Post Link". Please mention / link to the ARRA News Service. Thanks!